In a world where banking news is often grim – from Citigroup’s robo-signing settlement and Danske Bank’s money laundering inquiry to Wells Fargo’s latest scandal – positive efforts by financial institutions to benefit more than their shareholders are a welcome relief. One such program is Fidelity Investment’s Fidelity Cares Teacher Financial Literacy Training Program. Launched in 2003, the training program was inspired by the work of the North Carolina Council for Economic Education (NCCEE). “It came out of a piece of research from the University of Wisconsin that said that 89 percent of teachers thought that financial literacy should be taught in schools but only 20 percent of teachers felt confident or competent to do so,” explained Teresa Pelletier, Fidelity’s Director of Community Relations. The program provides participating teachers with information around personal finance, saving and investing. “Teachers can use these concepts in their own lives as well as feel confident when they stand in front of their students to deliver similar content,” Pelletier added. In addition to the Teacher Financial Literacy Training Program, Fidelity partners with organizations including Junior Achievement to bring financial education directly to local classrooms. It’s certainly a worthy cause, as numerous studies have demonstrated that the U.S. has a major financial literacy problem. For example, only 24 percent of Millennials demonstrate basic financial literacy. A mere 46 percent of Americans have money set aside for a rainy day. And 48 percent of student loan holders are concerned about their ability to ever pay off those debts. 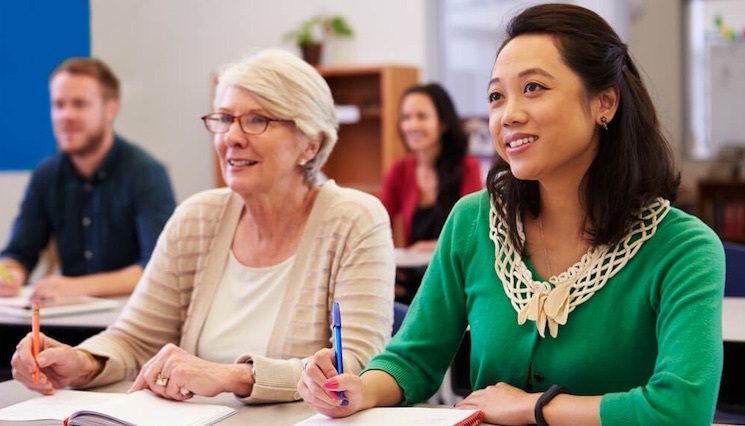 To date, more than 1,400 teachers have participated in Fidelity’s financial literacy program. These teachers currently serve 150,000 students. Pelletier noted that over the next decade, taking into account teachers leaving the field, the number of students those teachers will reach will surpass 1 million. “We remain committed to financial literacy programming in our communities,” she concluded.